When your homework is knitting… its not work. I always loved school. I might have cried when my parents made me go on that very first day of kindergarten but by the second day I had changed my mind. School was where I wanted to be. It was a whole new world, a world of paper and books and learning. What could be better? It wasn’t long before I was trying to make my non-school hours to be more like school. As a kid I was a major nerd. Fortunately for me I was born female. As unfair as it may be, life is kinder to the female nerd than to the male nerd. I received plenty of encouragement to indulge my nerdiness. No one ever told me to play dumb (and if they did I didn’t hear it). My parents bought me books and computers. I used my allowance to buy fancy pens from the office supply store. And I did all my homework. Which is to say I’ve been cranking away on lessons 4 and 5 from Carol Feller’s Short Row class at Craftsy. This is one of their on-line classes that you sign up for and work at your own pace. 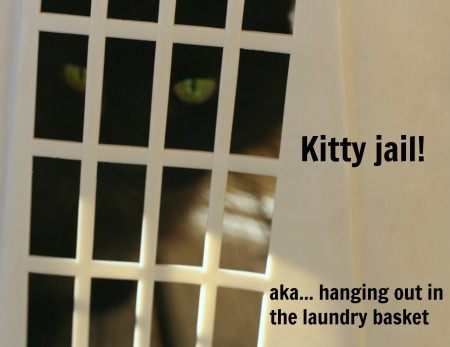 It has over two hours of instructional time and worksheets to download. 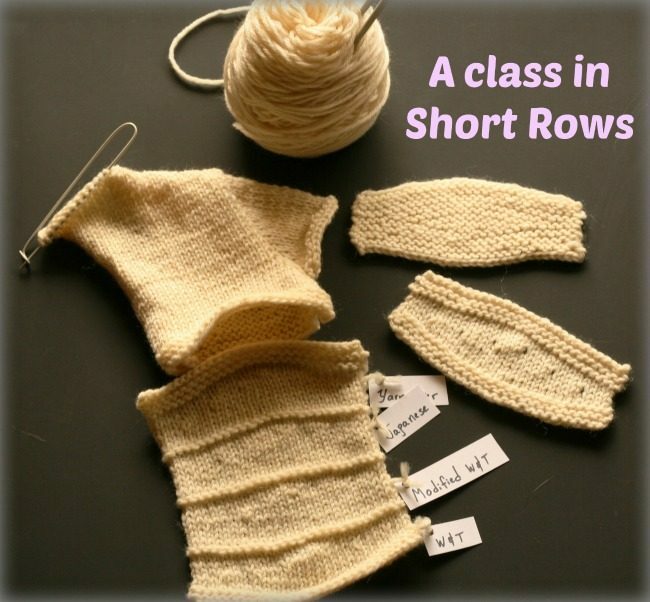 Its a class that will turn you into a semi-expert of short row knitting. And its free. You can grab a copy of the class for yourself right here. In Lessons 2 and 3, you make a practice price with four different kinds of short rows. You can check out my results right here. The intent is to find the method that you like best. Once you have that, you make up a practice sweater that uses short row shaping. Its not a full size sweater, its just a mini. But it is enough to teach a knitter how to make a sweater of their own design, in whatever yarn they like that will fit them perfectly. In Lesson #4 of Carol’s Short Row class you make a mini-back and mini-front for a sweater. 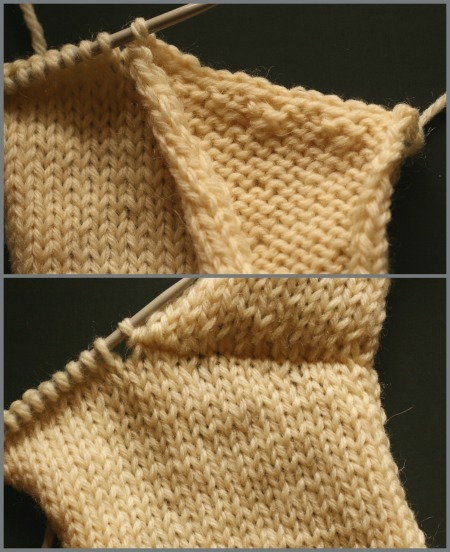 Short rows are used to shape the top of the shoulder. 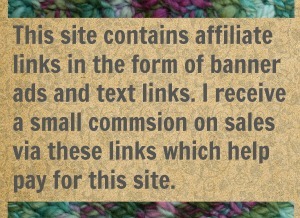 That is short rows are used as an alternative to the more traditional bind-off and/or decrease stitches. Decreasing and binding-off leaves you with stair-step edges that have to be sewn together. Sewing uneven edges can be tricky and even if you’re good at it, its still a bit of a pain. Short rows are a great alternative. You the student are encouraged to use whichever short row method you liked best from the previous lessons. I like Japanese, aka wrapless, short rows. So that is what I used. That leaves you two even edges with live stitches. Now, instead of binding off and sewing up, Carol does a three needle bind-off to join the two pieces. If you hate Kitchener stitch (and plenty of knitters do, lol), a three needle bind off is a great alternative. In the class, Carol will walk you through it. Next comes Lesson #5, adding a sleeve using short rows. This is where all your work really pays off. If you’ve ever made a set-in sleeve in a knitted sweater than you know they are easy to knit and a freaking headache to sew in. Traditionally set-in sleeves are made with decrease stitches leaving a stair-step edge. That edge then has to be sewn into the side edges of your front and back pieces, which are straight in some places, slanting in others, and stair-step around the armpit. Its a tricky piece to sew in. But if you make your sleeve with short rows, you don’t have to sew anything. Once you’ve mastered short rows, and short rows come easily, then set-in sleeves are the easiest thing to knit. You start by picking up all the stitches that will form your sleeve. And then you work in short rows back and forth. The “seam” is perfect. Once you have short row-ed through all the stitches you picked up, you work in the round for however long the sleeve will be. Ta-da! A set-in sleeve with no sewing. Not only does this method have the no-sewing thing going for it but all the pieces are fit together perfectly. That’s important because the fit off a sleeve can make or break a sweater. A tight fitting, shaped sleeve will make you look thinner (which I talk about in more detail in How to Pick a Sweater Pattern When You Are a Plus Size). A bulky sleeve will make you look bigger. There is one more lesson in Carol’s class. Its how to use short rows to shape your bust line. I think I’ll put that off for now. I have a new design in my brain that makes use of short rows (no coincidence) and I feel a burning need to get that design down on paper and in yarn. I think I’ll get on that. 4 Comments on "When your homework is knitting… its not work." Then I’m happy to do it! Its a handy skill and not at all hard if you follow the steps. I think more patterns would be written for shirt row shaping if it was a technique more knitters felt comfortable with. And school was fun for some of us right? right. You remind me of my daughter. When she was 7 or 8 she asked for a globe for Christmas. She got it. OOooo! A globe. I like those too. Also maps. My nerdienss is almost boundless.